Towards the end of 2012 I received an invitation to join a panel at the upcoming International Congress of the History of Science, Technology and Medicine looking at collaboration between universities and museums. The symposium was called ‘Research in Science Museums: The State of the Art’ and I was part of the first panel, ‘Museum-university collaborations: an ideal marriage?’. The symposium had been put together by Rebekah Higgitt (Royal Museums Greenwich, United Kingdom), Tim Boon (Science Museum Group, United Kingdom), Martin Collins (Smithsonian Institution, United States) and Helmuth Trischler (Deutsches Museum, Germany). The panel I was part of was principally coordinated and chaired by Rebekah Higgitt. My contribution to the panel was to give a student’s perspective. During my MA I had completed an internship at the National Maritime Museum looking at submarine telegraph cables and I have blogged about it here. Being part of the panel gave me a chance to think about what I had done and where I was trying to go with my work between academic study and museums. As the number of Collaborative Doctoral Awards or Partnerships as they’re now called are growing maybe we need to think more about the role and benefits for the student in this. Consequently I thought I’d blog my paper and welcome your thoughts and contributions. Finally I should thank Rebekah Higgit and Tim Boon for asking me to part of the panel and the amazing conference that is ICHSTM, and also to the British Society for the History of Science for the funding to attend. In danger of sounding like a cliché I came to the decision that my future lay in history whilst travelling. I had finished an undergraduate degree in history at the University of Liverpool but was clueless as to what career I wanted to pursue; after briefly dabbling in music industry I decided to follow an ambition to go travelling. 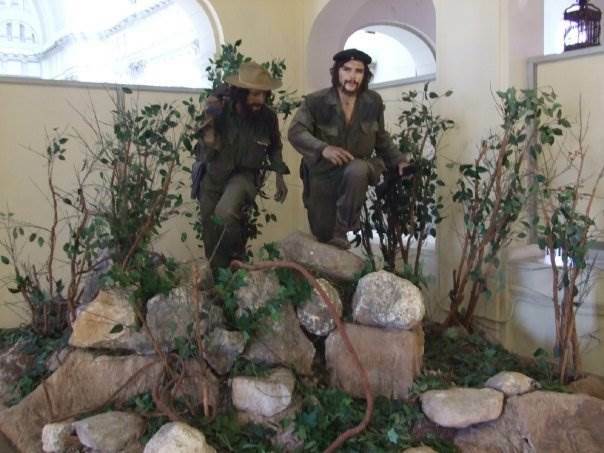 Somewhere between Cuba’s Museum of the Revolution and Boliva’s Coca Museum, I realised that museums excited me as a way of connecting the public to history; informative and inspirational, conventional and controversial, museums can help us understand our world today. It was only when I was back in the UK that I realised I wasn’t the only person to have this revelation and that building a career in museums was, and still is, very competitive. Eventually I realised that to develop a career working with collections I needed to do an MA. After much deliberation I decided on an MA in Historical Research at the Institute of Historical Research (IHR). I knew I wanted my dissertation to use museum objects, so when I spotted the National Maritime Museum’s paid internships I jumped at the chance. Commemorative Medals for the laying of the Atlantic Cable made by Tiffany. Image copyright Royal Museums Greenwich. My dissertation looked at the material culture surrounding submarine telegraph cables, and I soon discovered that though I wasn’t short of objects; the NMM collection is varied and I found relevant objects in the Porthcurno Telegraph Museum, the Science Museum and the Museum of Freemasonry. Finding objects wasn’t hard, but what I did find challenging was how to focus my work with these objects into a research question. Fortunately I found great support from the NMM and the IHR, and both supervisors were able to offer background and museological/historiographical reading and I eventually settled on looking at the transitional identity of the Atlantic Telegraph cable through these collections. I really enjoyed working with the different museums and their collections, and was amazed at how each museum went out of their way to help me in my research. 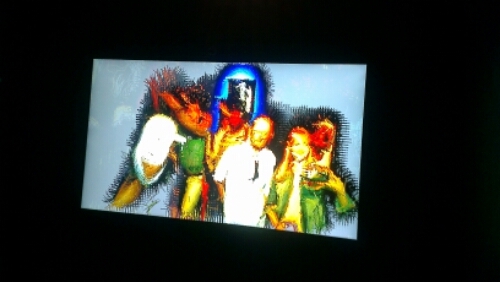 Furthermore, I felt I was able to build a relationship with these museums. As part of the paid internship at the NMM I had tangible outcomes which included updating their collections database, a blog post and a rather nervous paper at a lunchtime seminar. For Porthcurno, I used a week of my summer to volunteer in their educational summer programme whilst doing research. This was all valuable in widening my ‘hands on’ experience and meant I saw a different side to the museums, as well as helping me locate the different objects within the different museum cultures. I hope the trip and other outputs benefited them as much as it did my research and museum experience. 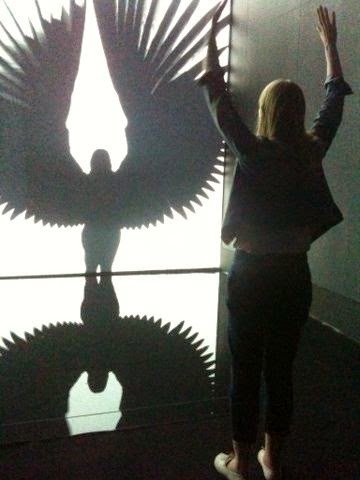 After completing my MA I realised how much I enjoyed research, and started to consider a PhD. The Collaborative Doctoral Awards looked like the perfect way for me to maintain the collaboration I initially explored through my MA dissertation, and I have since started a CDA with the IHR and the British Postal Museum and Archive looking at the Victorian Post Office. My PhD is currently very archive focused, but I am hopeful that my research will involve some of the BPMA’s museum collection. I believe each CDA is organised differently and as part of mine there is an expectation that I will work on a project for the BPMA for a certain number of days a year and I see my relationship with the BPMA growing as my PhD develops. Though I have the luxury of being a funded PhD student, I have felt that gaining practical everyday museum experience was important if I wanted to consider a museum role after my PhD. 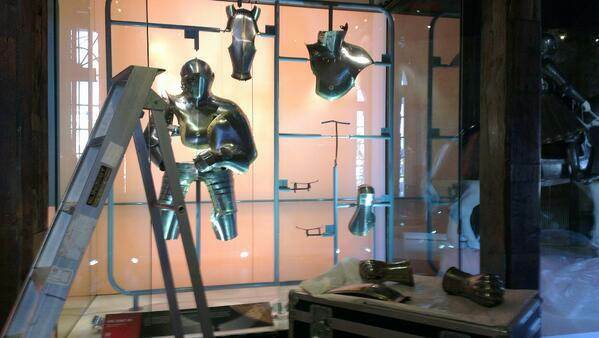 Consequently I also work part-time as curatorial assistant of Tower collections for the Royal Armouries. Research is integral to museums but a PhD is unlikely to involve practicalities such as auditing a collection, arranging an object loan or providing a handling session for 10 year olds. I believe there is a lot of value for both historians and museum professionals in museums and universities working more closely together. Not only for developing audiences and skills, disseminating knowledge, also enabling us to view collections and history differently, and importantly, funding is available. However, my only caution is where this leaves the student. I see myself as ‘hedging my bets’, I love history and I believe it is important and want to communicate this but am I being trained for academia or museums? Both, I hope. I believe CDAs were developed to give students more practical skills, but this could be dependent on how the institutions want to deliver the collaborative aspects of the PhD and how aware the student is as to what they want to get out of the experience. Perhaps the CDAs should take longer and involve a job role for two days a week, or perhaps the student should complete the Associateship of the Museum Association (AMA) alongside their studies. I’d be interested in others thoughts on this but to end on a positive note I want to emphasise that it’s through collaboration that I’ve had some of the most rewarding experiences in the academic and museum world, and I think it is something we should all seek to encourage. You know that frustrating moment when you discover something that would have been really useful for your previous piece of work? Well I had that joy a few weeks ago when looking into the employment culture of occupations to compare to the Post Office. This story starts with this engraving, an image I discovered during a research internship at the National Maritime Museum as part of my MA. I was intrigued as to why an image created to be sold and celebrate the landing of the Atlantic submarine telegraph cable in New York, in 1858, would have firemen as the central figures. At one point my dissertation supervisor and myself discussed the use of firemen and the possibility of looking at the American use of the image as an opener to my dissertation. However my research didn’t get very far and I went with the evening celebrations at the Imperial Institute marking the jubilee of submarine telegraph communication with the Far East in 1894. But those firemen have continued to bug me. Then, some six months after I have handed in my dissertation and subsequently started my PhD, I came across an article by Shane Ewen called ‘Managing Police Constable and Firefighters: Uniformed Public Services in English Cities, c.1870-1930’ in the International Review of Social History, 51 (2006). In Ewen’s article I was introduced to the relationship between firemen and the Royal Navy in British cities. Ewen details how in Birmingham, between 1880 and 1920, approximately half of new firemen were recruited from the Royal Navy due to perceptions of an overlap in the need for disciplinary procedures and control. This wasn’t universal, Leicester and Edinburgh principally targeted semi-skilled and skilled workers, seeing the value in having practical skills among recruits. So it seemed, the origin of firefighter recruits stemmed from the perceived importance of certain attributes, either their skills or their ability to follow orders and live in a quasi-military regime. Ewen didn’t go into too much detail about the American system, though he did note that the nineteenth century saw the transition from a voluntary to municipal paid firefighting system. This was partly in an attempt to deal with the ‘acute ill-discipline’ suffered by the service in the 1840s and 1850s. Perhaps due to the bad behaviour, sailors were first choice for American firefighter recruiters too. From a review in April’s Labour History Review, I see that Ewen has written a book on the development of the fire service in Britain: Fighting Fires: Creating the British Fire Service, 1800-1978. Robin Pearson’s review is full of praise of this work and through his review one of my questions is answered: why sailors and not the army? Sailors were preferred as they had the physical strength, and were used to working at heights and extreme conditions – heat, cold and damp conditions especially. Truly fascinating stuff, and I will definitely be keeping an eye for Shane Ewen’s book (it’s currently over £50 in Amazon which is a bit over my budget). It also shows that as historians, our work is never done. Even once the work is handed in/published you still make new discoveries and these revelations give some way to shedding more light on this intriguing engraving. How many phone numbers do you remember? Probably not many. Personally, since I started to use a mobile phone in my teens I rarely remember numbers. I just have to remember names or the name I’ve allocated a particular number (did I save my local hairdressers number under ‘hairdressers’ or its business name?). Our phones are becoming so intelligent that soon I don’t think I’ll even have to remember these small details, I’ll just take it out of my pocket and say I want a haircut and it’ll probably phone and make an appointment for me. I digress, my main point is that in a short amount of time technology has developed to an astounding degree and though it is easy to forget, numbers are still a central part of this. Nothing can make this point more obvious than a large section of a manual telephone exchange. Manual telephone exchanges provided the friendly voice that introduced many to a telephone. They provided an immediate voice when a subscriber picked up the phone and helpfully asked ‘Number Please?’ ready and willing to connect your call to the number you required. Recently a piece of Enfield’s telecommunications history, a section of the manual exchange, has returned in the hope of sparking memories and connecting those memories with one of the county’s largest depositories of the history of science, the Science Museum. This exchange was the last manual exchange in Greater London and was taken out in the 1960s. So there are people still alive who manually connected calls and could be using phone you don’t even have to touch to make a call. It’s return is part of a Science Museum led project that is being hosted by the Enfield Museum service and hopes to find stories related to the old Enfield manual exchange. Through events, a website and a facebook page they want to those local stories to come alive – have a look and pass on the details to anyone you think would be interested, or just pop down to the Dugdale Centre and see the exchange for yourself. A quick post to point you in the direction of something I have written for the British Society for the History of Science (BSHS) travel blog. 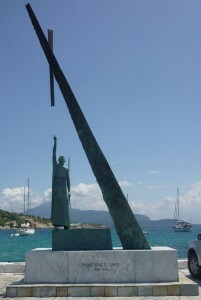 I recently enjoyed the luxury of a holiday for two weeks to the Greek island of Samos. 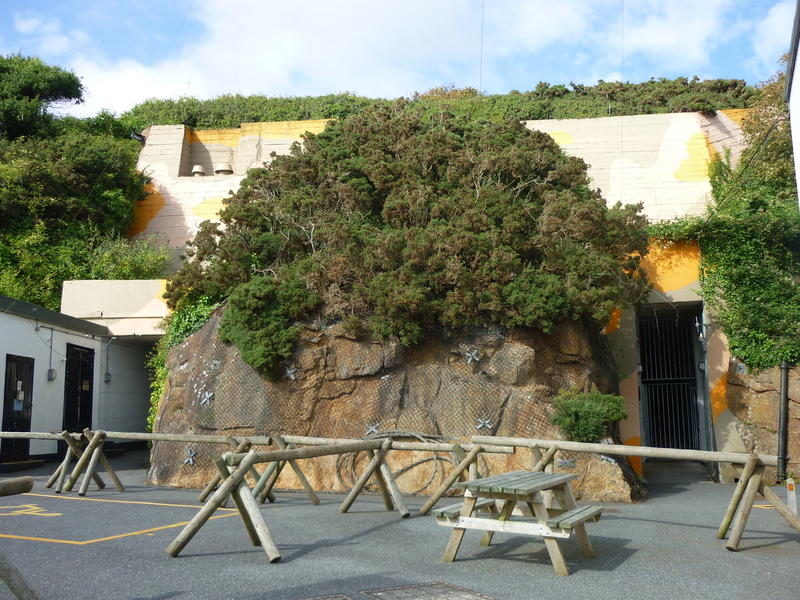 A beautiful place, but I was surprised to discover the island’s strong links to the history of science and thought it was worth sharing on the BSHS travel blog. I recently had my first introduction to two of Cambridge’s many museums. An experience that took me through over a century of museology not to mention millions of years of history. The two museums were the Sedgwick Museum of Earth Sciences, and The Polar Museum at the Scott Polar Research Institute. The Sedgwick was nestled in one of the colleges, and had all you could hope for from an Earth Science Museums. Rocks a plenty and more fossils and prehistoric animals than you could shake an animal bone at. Using 19th century cabinets filled to the brim with carefully catalogued artefacts, with names I couldn’t pronounce and handwriting I couldn’t always read, the wonderful world of the 18th and 19th century scientists and collectors, such as the collections founder, Dr John Woodward, and developer, Prof Adam Sedgewick, lives on. Alongside displays that don’t appear to have been changed since the museum opened its doors in 1904 there are modern interpretation panels to guide you chronologically through the creation of the Earth we know today. What I also enjoyed were the very local discoveries, I was fascinated by the skeleton of a hippopotamus uncovered from a town just outside Cambridge. Can you imagine a hippo in East Anglia?! With the names associated with Cambridge University it is unsurprising to find a plethora of exhibits and displays the NHM could be envious of, including artefacts discovered by Mary Anning and Charles Darwin, and I was constantly amazed at how big the museum was and how much of their collection was on display. I feel like there was plenty I didn’t see and even more I didn’t fully understand. The Polar Museum was a complete contrast in terms of atmosphere, with a very modern and sleek design. Methods of display also followed more modern habits of interpretation panels above a number of objects alongside a list detailing what the objects actually are, with some more detailed interpretation for some objects. I find the stories of Polar exploration fascinating, particularly because of the intrigued it encouraged among the Victorian public. This public curiosity was first underlined for me when reading Mary Shelley’s Frankenstein, but most recently by Prof. Adriana Craciu, in her paper on the Franklin relics given recently at a conference at the National Maritime Museum. Franklin and other early explorers, as well as the communities that have lived in the Polar regions, are well represented in the Museum, but what I was there for was their exhibition, ‘These Rough Notes: Captain Scott’s Last Expedition’. Being the Scott Polar Research Institute this felt like a very personal exhibition, it was very text heavy; the series of panels (thankfully numbered) were fairly long and most of the exhibits were from diaries, log books, or other paper material from the expedition including the magazine created by the team and a penguin shaped menu. However photographs were able to break this up and following the numbered panels I was able to be absorbed into the detail and felt like I was on this last expedition myself. I found the last few panels about the harrowing experiences of the other sub-teams as well as Scott’s own team quite emotional. It can be quite difficult to display text-based objects, especially as you probably need a lot of text to interpret the objects and the story within the paper, but the exhibition did manage to translate the relationship between the people and these bits of paper. In such a desolate place writing your thoughts, or creating a magazine, can be one of the few emotional outlets. 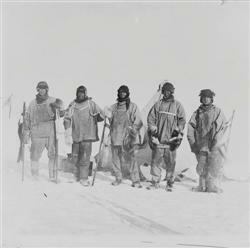 However the stunning photography from the expedition was able to translate the emotional journey of these men more than any written document and the solemn image of the team at the South Pole was just heartbreaking. After making the journey with Captain Scott and his team, you’re then able to go back into the main Museum display and I was pleasantly surprised to find more objects associated with the Scott expedition, as well as the Norwegian Roald Amundsen, who beat Scott to the South Pole. I was transfixed by Scott’s personal camera and snow shoes for the ill-fated horses on the expedition. As you can probably tell I loved this museum, and I feel it is the best placed Institution to tell the Scott story. Not only is the Scott Polar Institute the direct result of the scientific findings of that expedition, carrying forward the legacy of the early polar explorers in progressing scientific discovery and understanding but by also telling their stories and the stories of the communities they encountered and affected, the museum is ensuring this legacy is preserved for future generations to investigate and understand. Here are links to the two museums – you should go! In the last week of July I spent my time volunteering at the Porthcurno Telegraph Museum in Cornwall. I’ll admit that this wasn’t the easiest museum to get to from London, and so may a first appear to be an odd choice of museum to volunteer for. However it all becomes clear when I explain that Porthcurno was the site of the Eastern Telegraph Company telegraph office, and was at one point the biggest and most important telegraph office in the world. Established in 1870 this telegraph office connected Britain to the British Empire and the European Continent through networks of submarine telegraph cables. 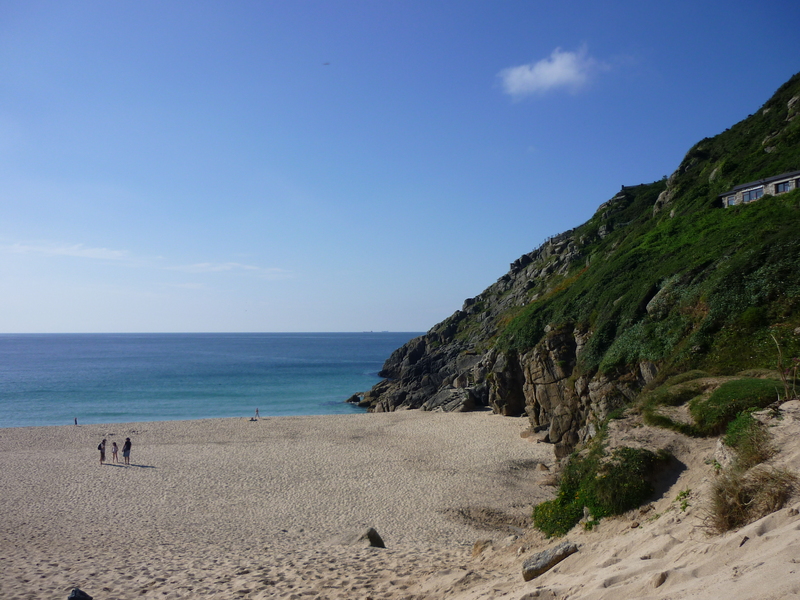 Porthcurno was chosen due to its remote location and sandy beach which meant it wasn’t used by fishermen and would present less hazards for the iron roped cables. By the Second World War this telegraph office was so important that heavy defences were established such as flame throwers on the beach and camouflaged tunnels in the valley walls. Today you’re more likely to see tourists on the beach than flame throwers, and the tunnels form part of the Museum’s buildings, housing most of its collection; and what a collection it has! One of the most popular activities is an interactive Mirror Galvanometer, and unsurprisingly one of my favourite cases contained a large variety of cable samples, ranging from samples dating back to first international submarine cables to more recent fiber-optic cables. The museum also has a gallery full of working instruments, helping to create the atmosphere and sound of a working building, transferring electrical information from the world to London. As you can probably tell, this museum was right up my street, and what I thought it did very well was underline the modern significance of this Victorian enterprise. Even I was surprised to discover that 95% of our international communication today is still sent via submarine cables. Satellites are obviously used today, but are better for television broadcasting, GPS and satellite telephones; even mobile phones, though they initially send information wirelessly, connect to a server or base station, which is connected to cables, consequently if the call is international underwater cables are required. Furthermore the location of the old submarine telegraph cables are still important today as the new fiber-optic cables follow their course, and fishing vessels and renewable energy companies need to know where they are. Frankly the sea bed is becoming an increasingly important area of real estate and there is a lot going on under the water that we just don’t know or think about. As well as being an international telegraph office Porthcurno was also a training school for telegraph engineers, many of whom were subsequently sent off to remote outposts across the British Empire, and in later years trained engineers from around the world. Consequently the Museum has very strong collections relating to social history and local history, demonstrated through the Nerve Centre of the Empire Exhibition. As well as objects like the engineers tool boxes, important because they contain all the necessary tools to fix the telegraph machines, as help was a long time coming to these remote outposts, like the Cocos Islands or Ascension Island, and a ship could take days costing the company as well as other businesses a lot of money. The other area the museum is exceptional at is interactives and education. Part of my role as a Volunteer Learning Facilitator was to help supervise a room with several science activities from magnets and optical illusions, to circuit building. This was extremely popular and complemented the other interactives in the museum, including the activity that enabled families to use Morse Code to telegraph each other across the Empire or dress up as Victorians. Many a visitor would exclaim their surprise at the amount of activities for children and the amount of fun they were having. And yes, the adults had as much fun and the children, I built circuits with pensioners as much as toddlers, and more often than not it was dad who wanted to dress up first. As well as my volunteering I did get to do some research too. It was a treat to get into Porthcurno’s incredible archive, and all the staff were exceptionally helpful and interested in my work. I almost didn’t want to leave!